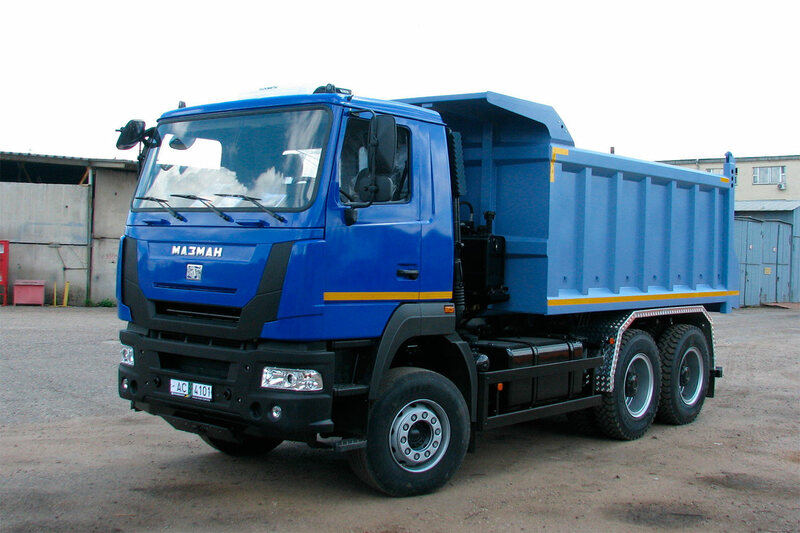 MAZ-MAN 752559 is a new heavy 6x4 dump truck made by the Belarusian-German joint venture. The dump truck with rear unloading has a payload of up to 26 tonnes, while its GVW reaches 41 tonnes. It is equipped with a German diesel MAN D2066LF44 with a power of 440 hp and a torque of 2100 Nm, which meets the environmental standards of Euro-5.